Everyone dreams of the days they no longer have to work so hard for money. Yet, songs celebrating the flashy lifestyle are often treated with contempt and damned to exist in the limbo where shallow songs go to die. 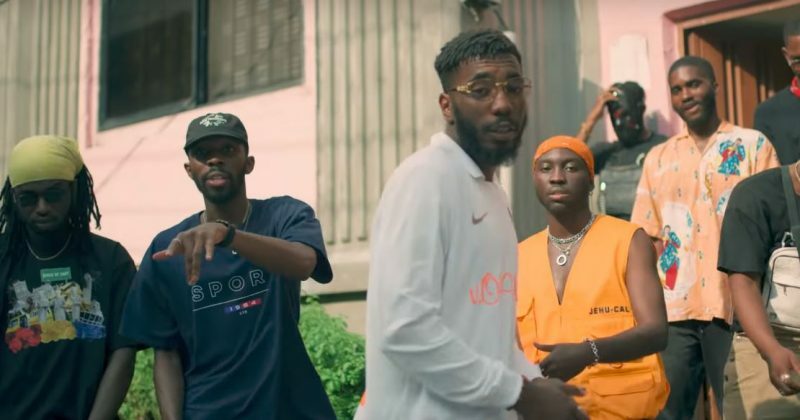 DRB is making sure this isn’t the case with their new song, “Necessary”, released with a music video where they flash their team colours and feature Odunsi in the cut. Though street-hop hits like “Legbegbe” and “Able God” have celebrated the criminal extent true hustlers are willing to go to get their hands on money, DRB is introducing hip-hop’s cinematic equivalent of that vibrant narratives. GMK’s bouncy trap beat sets the elated atmosphere for the hustler anthem, celebrating the many rewards of the fast life. Odunsi’s hook, “Owo Wa Necessary” is true enough but the rappers go the extra distance, emulating the scope of the fictionalized, dramatized versions seen in film and on television as they intertwine hip-hop’s obsessions of realism with the street’s embrace of the crime life. The music video DK directs highlights their kingpin fancy, using their Mafioso tics and tropes as an energizing force to make the video endearing. You can watch the music video for DRB and Odunsi’s “Necessary” below.